After a week on east side of Crete and another one on west that was perfect for us to spend one night closer to Airport,(just 20 minuts by car), to get good enough breakfast and go. We got it for small money at low season. Well organized and friendly personal on reception and at meal area. Big parking place. 5 minutes by walk to the beach with a lot of taverns around. 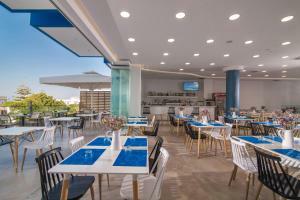 The hotel is in an excellent location close to the beach, restaurants and shops. The room was very clean and good value for money. Family hotel, The staff were most welcoming and always friendly and ready to help, nice village, nice view, The beach is a 2 minute walk away and the location is fantastic! Excellent value for the money. Great location --close to the beach, shops and restaurants --and very friendly staff. Отличное расположение отеля - море совсем рядом. В номере очень чисто, свежий ремонт. Дружелюбный персонал. L'accueil par l'ensemble du personnel, les prestations. Pulito e accogliente e pochi metri dalla spiaggia. Colazione ottima. Rapporto qualità prezzo eccezionale. Lock in a great price for Belvedere Hotel Agia Pelagia – rated 8.2 by recent guests! 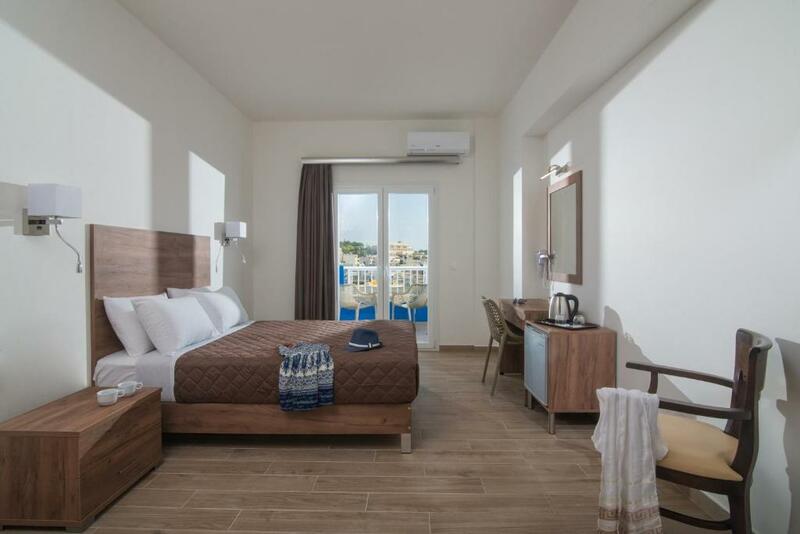 Within 500 feet from Agia Pelagia Beach, the family-run Belvedere Hotel Apartments features a pool with a furnished sun terrace and a poolside bar. 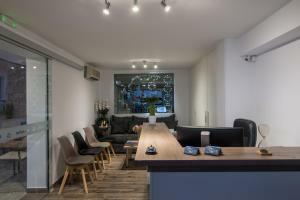 It offers free WiFi in public areas and studios and apartments with private balcony or terrace. The air-conditioned rooms of Belvedere have a fridge and an electric kettle. The private bathroom is stocked with a hairdryer. A cleaning service is daily available. The hotel’s bar is open daily for breakfast and also serves snacks and refreshments during the day. Recreational activities on site include billiards, as well as a volley and football court. 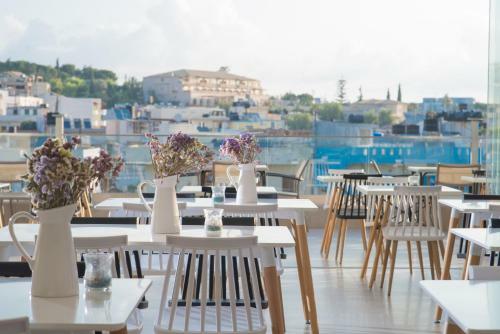 The Belvedere Hotel is minutes from the center of the village with its many tavernas, bars and supermarkets. A free parking service is available for guests. 뀐 Located in the top-rated area in Agia Pelagia, this property has an excellent location score of 8.6! When would you like to stay at Belvedere Hotel Agia Pelagia? Air-conditioned room with 2 separate rooms, electric kettle and fridge, furnished balcony and veranda overlooking the Cretan Sea, the garden or the pool. 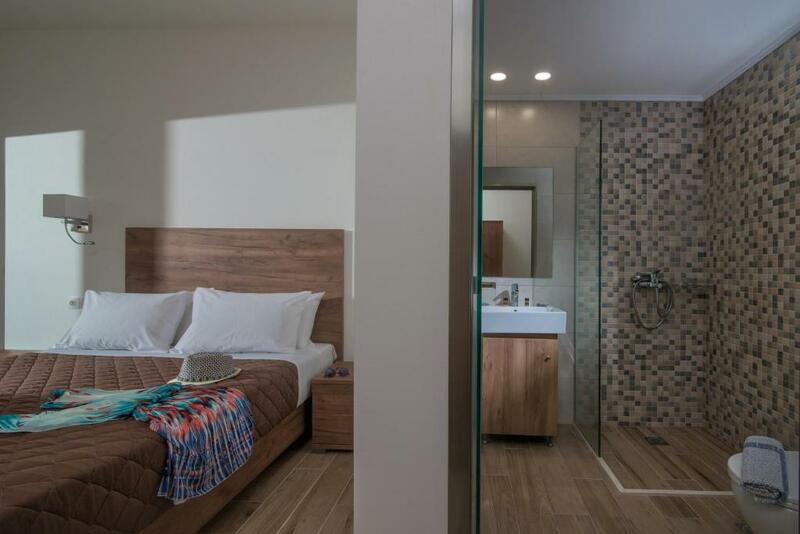 Air-conditioned room with 1 separate bedroom, electric kettle and fridge, furnished balcony and veranda overlooking the Cretan Sea, the garden or the pool. The Belvedere hotel apartments is a family business! Every year we try to become better and better in your expectations! Friendliness and hospitality has made many customers to reiterate their vacations at our hotel! Nothing is impossible! Enough to select Agia Pelagia at your destination and come to us to offer you a quiet and relaxing holiday craft!! House Rules Belvedere Hotel Agia Pelagia takes special requests – add in the next step! Belvedere Hotel Agia Pelagia accepts these cards and reserves the right to temporarily hold an amount prior to arrival. Kindly note that dinner is provided free of charge for children up to 12 years old and with an extra charge of EUR 5 for children 12 to 16 years old. Please inform Belvedere Hotel Agia Pelagia of your expected arrival time in advance. You can use the Special Requests box when booking, or contact the property directly using the contact details in your confirmation. Long time to wait worm water in the shower. It wasn't too much critical but they are loosing more fresh water than might be enough. Almost non-existant wifi; Beds are super uncomfortable; Dinners are bad; Breakfasts are even worse; Towel change once in a three days; No working air con; In the double room no kitchenette; It was a big issue to ask for the plate of a knife to have in the room; You have to buy all washing supplies for the kitchen, if you have one. Bathrooms are uncomfortable to use, water from the shower splashing on wc, making everything wet. The beds could be little more confortable and towels everyday, instead every 3 days.